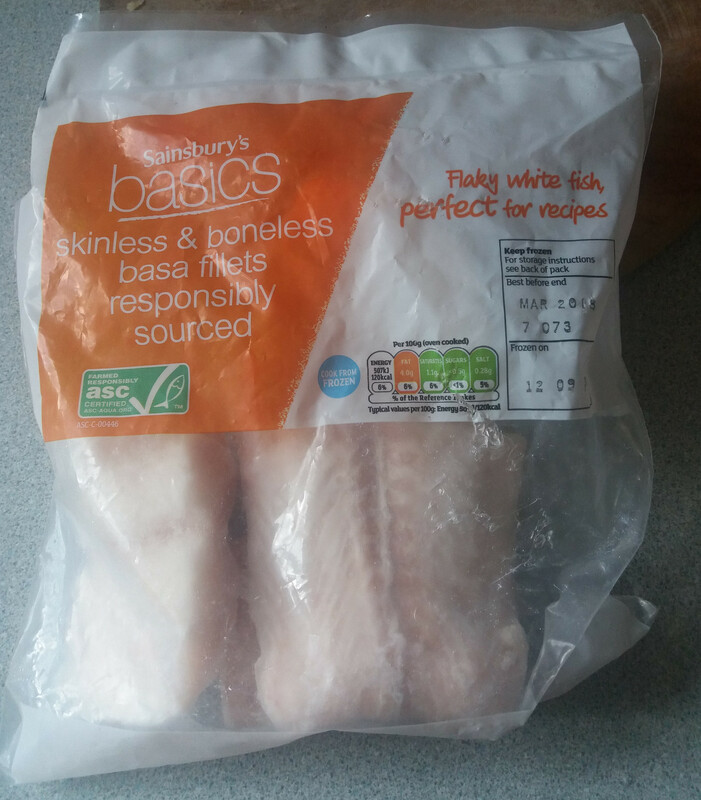 Skinless and boneless basa fillets, perfect for recipes. Well what else would they be perfect for??? Then the little old man got to wondering .... please fill in the blanks yourselves. A small hint might just be in the look of horror on sj's face when the little old man cooked up a pack of frozen peas that she had been using to calm the pain in her sprained ankle. Water in Oakley is very hard and it plays havoc with all our water heating appliances. 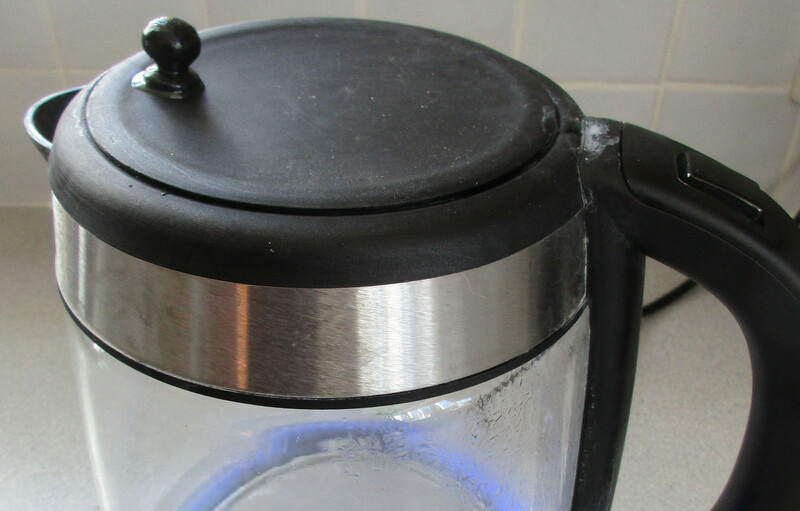 The latest casualty is the [new] kettle. Despite extreme Rosemary cleaning, its lid is very reluctant to open when its little button is pressed. Little old man to the rescue with a specially crafted little knob, painted black as the original varnished mark one did 'not match the lid'. When I worked at Solihull College, one of my jobs was to bring new curriculum offers to our campus at Chelmsley Wood. One innovation was to replace the old chemistry laboratories with electrical installation courses. To do this we had to clear out the old chemistry stock room which contained various chemicals and reagents. The toxic stuff we brought back to the chemistry department at Blossomfield Road and the rest was deposited in the land fill dustbins. A few days later I received a distraut email from the cleaning department at Chelmsley bemoning the dumping of hazardous waste. I was admonished for dumping such things as 'HARD water' and, even worse, 'TEMPORARY HARD water'. Well yes we drink it every day. I have to admit that this was not the first admonishment I had received from the cleansing department, although the first was a little more subtle. One of our oscilloscopes at the electronics resource had gone on the blink and I soon had the lid off and discovered a faulty high voltage electrolytic capacitor as the culprit. Soon had it replaced and the broken one was consigned to the bin. Next day, the cleaners had very kindly rescued it from the bin as clearly it was too good to be thrown away. Pity it was unable to retain its 1000volt charge. Went with Lana and Rosemary to the butterfly farm at Stratford-on-Avon on Sunday. Nowhere to eat there so went out to find somewhere close by where we could have lunch. This turned out to be The Pantry just across the Avon footbridge. While we were lunching a group of 3 couples came in in their bike leathers, Sunday has long been a bikers day in Stratford. Anyway, we took no more notice of them but as we were leaving I saw that they had left their helmets on the floor by the entrance. They looked just like a pile of severed heads.